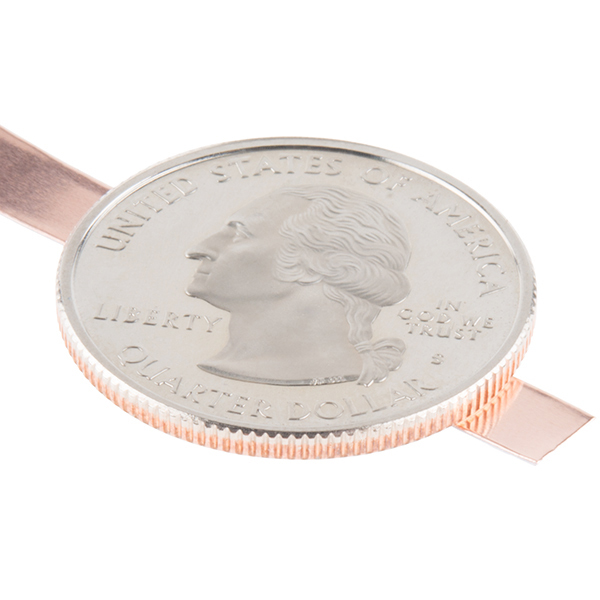 What is the difference between your conductive adhesive and adhesive back copper tape?? The difference is in the adhesives. 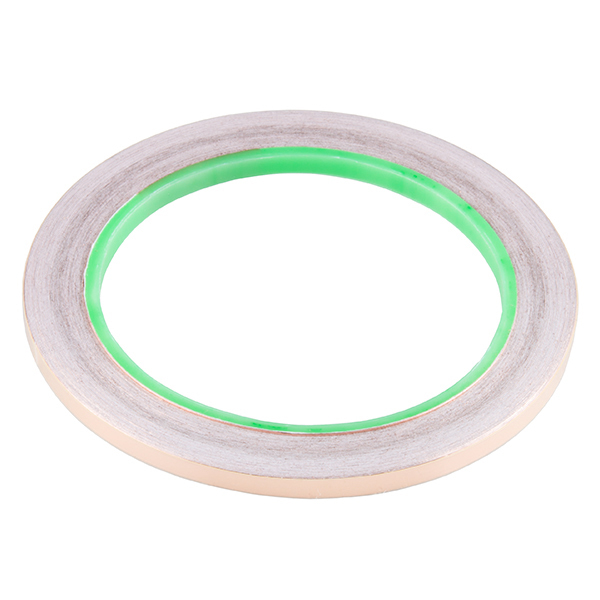 The conductive adhesive is exactly that; if you lay one piece of tape over another, the conductive adhesive will allow the two strips to conduct to each other. The non-conductive adhesive is insulating; if you lay one piece over another, they will not conduct to each other. 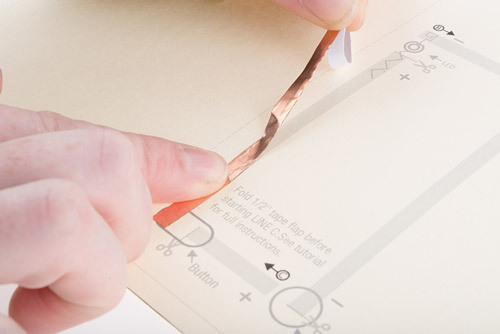 The conductive adhesive tape is great for paper circuits; it lets you easily make circuits from multiple pieces of tape rather than having to carefully bend a single long piece for each connection. 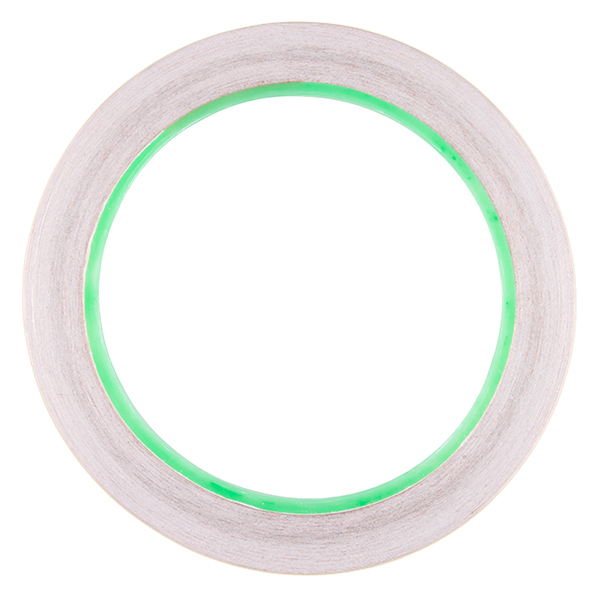 Can this copper tape be used to make LiPo battery packs? In other words what current will it handle. I have 18650 battery holders that slide together but they don't have any leads or tabs for connecting the batteries. I'm hoping this tape could be used and not have to solder wires across the tops. The copper itself can probably handle around 5 amps, but it's going to heat up carrying that much. Possibly more heat than you might consider acceptable. The conductive adhesive on the other hand likely won't be able to pass more than a few hundred mA. 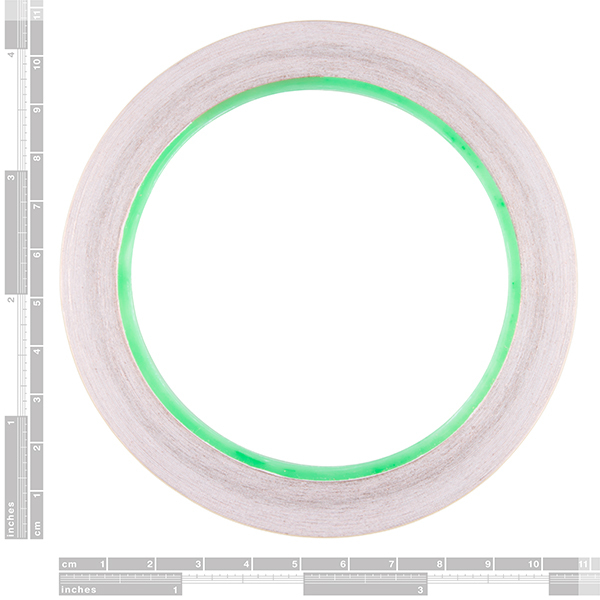 I'm afraid that this tape likely would not do well in an application like this.